In addition to the donations and discounts available through TechSoup Canada's catalogue, there are many other programs and tech services available for nonprofits in Canada. We've compiled a few of our favourite tools and most popular options here. Want to see a larger directory of open-source software or freeware? We recommend Wikipedia’s list of free and open-source software or Open Source Living. If you have a particular software in mind and would like to find a program similar to it, try using AlternativeTo.net for crowdsourced software recommendations or Capterra to find and compare software for your needs. Note: We've done our best to compile information that is relevant to Canadian nonprofits, and that is up to date. However since we don't administer these products, the deals and discounts listed here may change without us realizing. We recommend checking each company's website to confirm the details of their discount or service. Click on the category titles (e.g., [ + ]) to see the list of free or discounted tools for nonprofits that are administered outside of our program. What is it? 365 iT Solutions is a Canadian based IT consultancy firm. They're offering complimentary Network Assesment and Review of IT proposals for TechSoup Canada members and up to 20% discount on Migration, Integration and Project programs. What is it? Google is donating the following business plans for nonprofits: Google Apps, Google AdWords (through Google Ad Grants), premium YouTube features and Google Earth. What is it? A comprehensive note taking, organizing and archiving software. What is it? GenieBelt is a simple project management tool, which can be used by construction companies. Main features include: project management, portfolio management, project reporting, construction project overview. It is cloud-based, so all your information is safely kept in online storage. Gantt chart allows you to easily overview all projects in one place, filter them by tags or people with Drill Down. 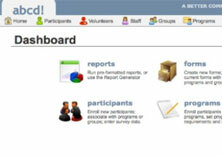 You can also download reports and overviews of your current projects. The software is mobile friendly and available on IOS and Android. It can be used regardless of user's location or Internet access as well. What's the deal? Free for one year, then a 50% discount for renewals. GenieBelt has decided to give the software away for free as part of their commitment to social responsibility. The product donation is available for the one-year period. After that, GenieBelt intends to apply 50 % off discount. Organizations that are interested in the offer should contact Taylor Ryan via this email address: taylor[at]geniebelt[ dot]com. Who's eligible? Nonprofits, charities, social enterprises, etc. Basically all forms of organizations that work with social value. What is it? Let’s Encrypt is a free, automated, and open certificate authority brought to you by the nonprofit Internet Security Research Group (ISRG). What is it? Certbot is a free, automatic client enable HTTPS on your webserver by deploying Let's Encrypt certificates. While we do have a refurbished hardware program, CDI Computers, we recognize that your nonprofit may have hardware needs that extend beyond the scope of the program. Note: These organizations are not partners of ours and we are not able to officially condone or recommend them as such. The organizations listed below are those we have knowledge of and have been recommended to us by members like you. So please, use your discretion!